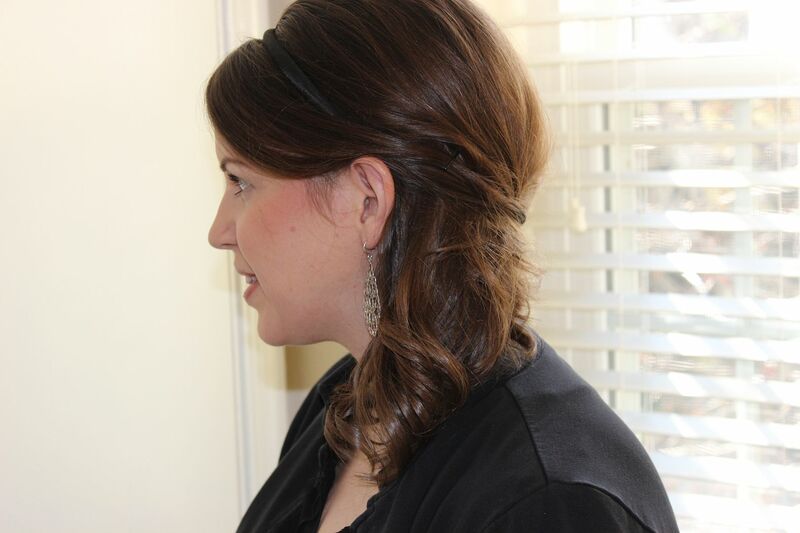 I decided on a holiday hairstyle and I have to say, it is super easy. Seriously, the hairstyle I chose took all of three bobby pins to pull off! Can you believe that? Just three! And my hair felt very secure too. Thank goodness for the awesome Extra Hold Hairspray from Pantene (you know I love me some hairspray!). I chose a swept to the side look and I know I will be trying this hairstyle again for other occasions since it was so easy to create. 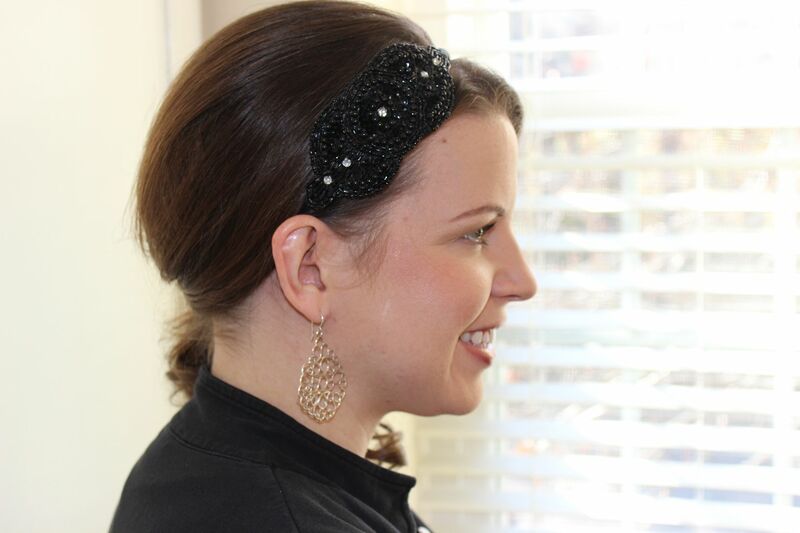 The main reason I decided on this look was so I could rock a headband that added a bit of festive flair to my outfit. And I must admit that I really wanted a swept to the side look for my wedding, but my hair wasn’t quite long enough at the time. So my wedding dreams will now come true when I have a holiday party to attend, I can deal with that! 1.) Washed my hair using Pantene Pro-V Heat Shield Shampoo and Pantene Pro-V Heat Shield Conditioner. 2.) After towel drying and combing my hair, I applied Pantene Pro-V Volume Root Lifting Spray Gel to the roots of my hair and massaged into my scalp. 3.) To make sure and keep some shine in my hair, I also used Pantene Pro-V Heat Shield Heat Potion Serum. I squirted two pumps into my palm and lightly raked my fingers through the bottom of my damp hair. No need to apply this serum all over your hair, it will just weigh you roots down (and I need all of the lift I can get – I’ve got such fine, limp hair). 5.) After curling, I watched this tutorial to achieve the swept to the side style. 6.) To finish, I sprayed my hair VERY generously with Pantene Pro-V Stylers Shaping Extra Strong Hold Hairspray. I will continue to use a lot of hairspray daily for the rest of my life – it’s my favorite hair product. But I must say, with this Extra Strong Hold option, you really don’t need a lot. The Extra Strong Hold gets the job done with just a few sprays (Great job Pantene!). Sign me up for Hairspray Users Anonymous, although I just told you that I use it, so I guess I’m not anonymous anymore. The Pantene products I used to create this hairstyle will become regular products in my daily hair care routine. The Root Lifting Spray Gel is amazing, I didn’t feel like I had a lot of gunk in my hair and I could definitely tell that I had some lift (again, my limp hair needs all the help it can get!). 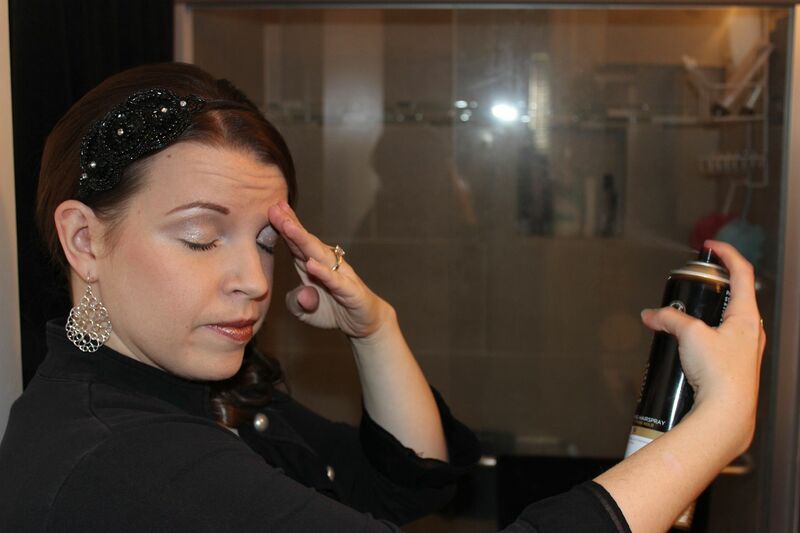 And I simply adore the Pantene Pro-V Heat Shield Heat Potion Serum; my hair was so silky and shiny! These products definitely delivered on Pantene’s promise: to keeping every woman's hair healthy, shiny and beautiful. And now, I have a great surprise for you. Pantene is giving one lucky reader the exact same package that I received. That is 9 brand new hair care products, shipped straight to your door! What an awesome giveaway! So go ahead, tell me your favorite product. And who knows, maybe one of these new products will be added to your list of favorites very soon. 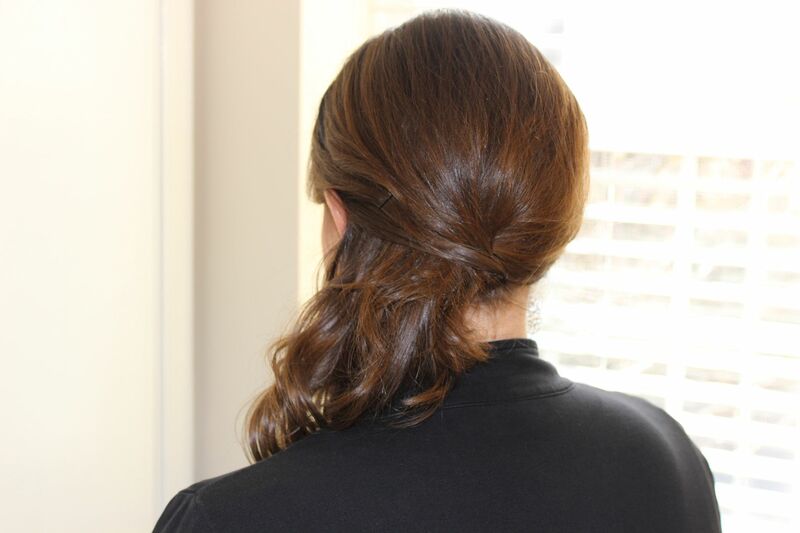 Such a cute and easy hairstyle to do. I love the hairstyle! And now I want to hear your accent! lol! I love your voice too...with Shannon! My favorite is anything from Aveda Smooth Infusions line, but the most common one I have on-hand is their smoothing fluid. Love. You look SO pretty! The headband is so festive and cute. LOVE! 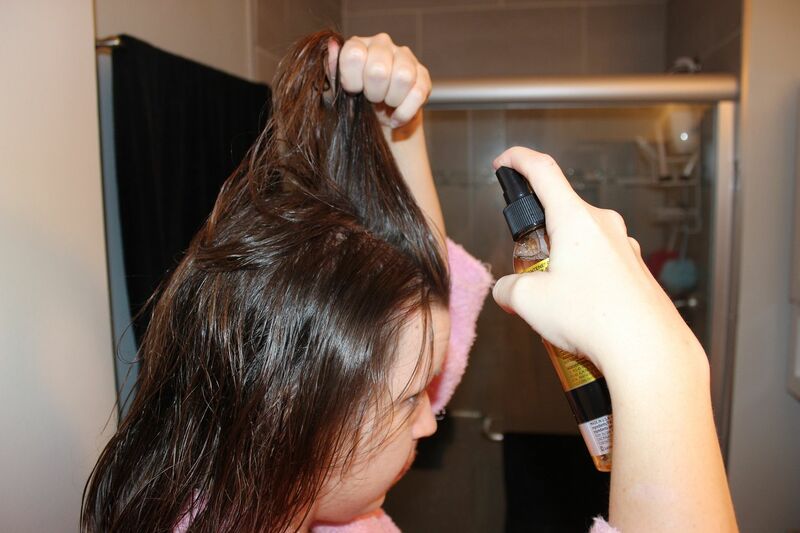 My current favorite hair product is a spray in styling lotion... it smells amazing and helps add volume. Looks great!! My fav product is my curling mousse and hairspray from Herbal Essences. I can't believe how easy you make that hairstyle look. Any real style is like an major operation for me to achieve. LOL! Honestly my fav. hair product I only use in winter myself but I use daily with my kiddo's hair. It's called Orofluido and is a serum...it gives his biracial hair the perfect amount of moisture without using too much product...and it smells amazing! In winter I use it for my own personal flyaways. Pretty! My favorite hair product is a leave in spray conditioner. I have long hair and I can't brush it after the shower without it! 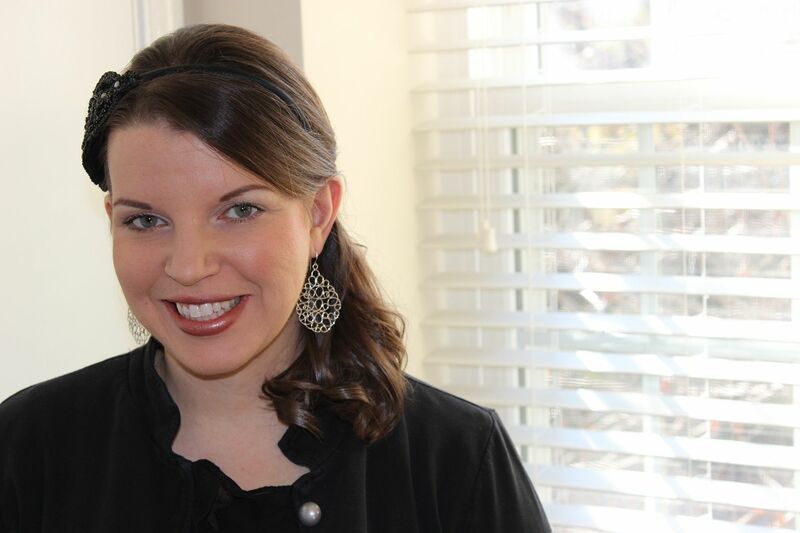 My favorite hair care product is pureology conditioner, and I love it. I'm really enjoying the Regis Designlign Enchanted Midnight Shampoo and Conditioner. It works well and smells amazing too! You did an amazing job with this hairstyle. I don't know much about using different products. Currently I'm using Chi blow drying cream. Hopefully I can find a better hair product routine soon!